You have photos. You want to view them. That's easy right? But you always get your photo in a window. It's always some extra steps to view the photo full-screen. And then you want to view the next photo... This should be easier and quicker. Enter InstaView. You get your photo full-screen. Instantly. And starting a slideshow is super easy too. Just open a folder and press enter. 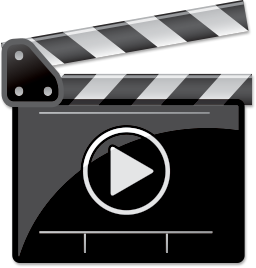 And there is more, you can do the same thing with videos, or mix photo's and videos. Just like you get them straight from the memory-card if you want. InstaView is made to show your images instantly, with no set-up. You open a folder with images and InstaView shows them full-screen with no delay. InstaView is also packed with features to customize you viewing experience. View some of the more unusual features below. Easy access to recently shown photos. One click to launch InstaView and one more to pick the recently shown folder of images. InstaView shows images and movies. With InstaView you can show any number of movies and have them played back in sequence and repeat them the whole day. Movies start automatically and play to the end, then the next movie or photo is shown. Of course you can also skip to the end. And you can mix movies and photos as you please. You can let InstaView open the last used folder at startup and if you combine that with automatic playback, you can easily setup your Mac to start playing movies and showing photos automatically when you start-up the computer. For an exhibition or a shopping window for example. Or maybe you sell TV's, displays or iMacs. You can show any combination of still images and video footage. Read more..
With InstaView you can create a live slideshow that shows photos as you make them. When you open a folder in InstaView, it keeps watching this folder for changes. 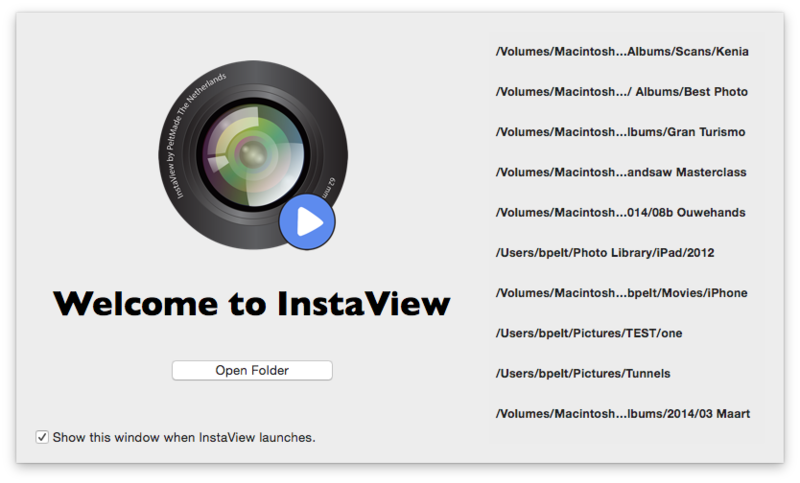 So if you can send your photos from your camera to your Mac, InstaView can show them as they arrive. 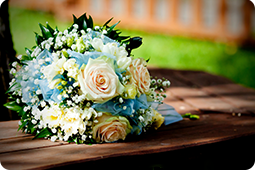 This if great for weddings and other events where you want to show photos as they are taken. .Read more.. 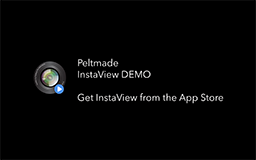 If you want to try InstaView before buying on the App Store, download the demo. The demo is fully functional, but it shows a full screen message-slide regularly to remind you to get the real thing on the App Store.